Spanish wines are wines produced in Spain. Located on the Iberian Peninsula, Spain has over 2.9 million acres planted making it the most widely planted wine producing nation but it is the third largest producer of wine in the world, the largest being France followed by Italy. This is due, in part, to the very low yields and wide spacing of the old vines planted on the dry, infertile soil found in many Spanish wine regions. 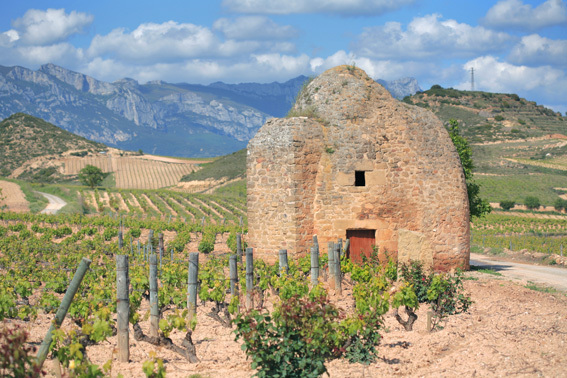 Major Spanish wine regions include the Rioja and Ribera del Duero, which are known for their Tempranillo production. Rías Baixas in the northwest region of Galicia that is known for its white wines made from Albariño and Catalonia which includes the Cava and still wine producing regions of the Penedès as well the Priorat region.